International Conference on Dermatology is intended to provide insights on the emerging therapies and for various skin conditions ranging from dermatitis to melanoma and thus the theme “Skin-in-depth: Research & Care” has been chosen to foster the wide range of sub-specialties of dermatology. The purpose of the meeting will be to elucidate the diseases from a number of scientific aspects, present an opportunity to meet and network with renowned Dermatologists, Scholars, pharmacists, and allied health professional from around the world and listen to top speakers on new development that will advance the future of Dermatology. A critical barrier to progress in improving the magnitude and durability of treatment effects involves addressing gaps in knowledge regarding “how” treatment works at the level of brain-based mechanisms. 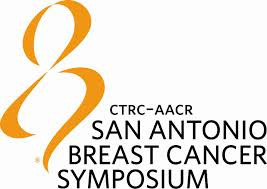 The 2014 San Antonio Breast Cancer Symposium is presented by the Cancer Therapy & Research Center at UT Health Science Center San Antonio, the American Association for Cancer Research, and Baylor College of Medicine.